Product DescriptionWe are Manufacture and Wholesaler of Wooden Box, Wooden Decorative Items, Wooden Printed Box Etc. 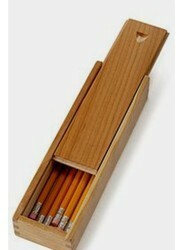 As a quality focused firm, we are engaged in offering a high quality range of Wooden Stationery Box. we offer high quality smoothing planes are presented in wooden posh box. We are a prominent manufacturer and supplier of a quality range of Precision Tool Boxes. These boxes are known for their superior quality, durability and fine finish. 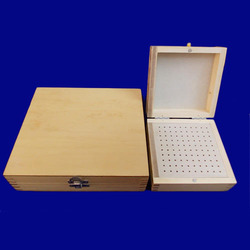 Having a wooden plate, these boxes are used for safe storage of precision instruments. We offer these in a choice of shapes and sizes to meet the specific requirements of our clients. Lacquered Wood constructional. Most ideal to store burrs and grinding tools. Keeps all tools safe in one place. Saves time to locate tools and avoids any damage to them. Our clients can avail from us a range of Precision Tool Boxes that is highly strong and tough. Crafted with a wooden plate, these boxes are perfect choice for storage of precision instruments. Our range of precision tool boxes is available in different shapes and sizes as per the specific requirements of our esteemed clients.